Gone are the days of the backyard swimming pool being simply for swimming. Like everything else in the home, modern day consumers are wanting their swimming pools to be smarter, more efficient and packed full of features. Following are top five trends to make your swimming pool smarter. Programmable in-floor cleaning and circulation systems that automatically clean your swimming pool are now a reality. This means no more noisy creepy crawlies, no more struggling with hoses, poles and manual pool vacuums. The self-cleaning systems come in a range of colours to match most swimming pool interiors so that they are virtually undetectable when not in use. Plus, swimmers can even use the pool while the cleaning system is operating. Small pop-up nozzles are built into the floor of the swimming pool and use high-pressure streams of water to push dirt, sand, leaves and debris into a drain and collection basket to be disposed of later. The basket is more than four times the size of regular skimming baskets meaning it can be emptied less often. The cleaning nozzles can be installed on steps, seats, walls and even spas and fountains. As well as reducing maintenance time, the new self-cleaning systems also reduce running costs and limits the need for excessive chemicals being added to the pool. Because the system returns treated water to the floor of your swimming pool the escape of heat and chemicals from the water’s surface is greatly reduced. Fancy your own private water workout at home? Australians love of health and fitness has resulted in a surge in popularity of backyard swimming pools specifically designed with health and fitness in mind. Much like a treadmill for swimming, the pools allow their owners to do laps in a small pool against strong water jets which sees the swimmer remain buoyant and swimming in the one spot. Perfect for those who love to swim but don’t have the room for a lap pool, these pools also function as a spa, which is perfect for recovery time or muscle injury treatment. How great would it be to control your swimming pool’s equipment remotely with just the touch of a button from your smart phone or portable device? Thanks to new technology turning the pool filter, lights or heater on is simple. Pool owners can control and monitor their pool using an app downloaded to their smartphone or tablet. Perfect to maintain your swimming pool while you’re away, or even when you’re at home and don’t have time to go out and check every element of the equipment. 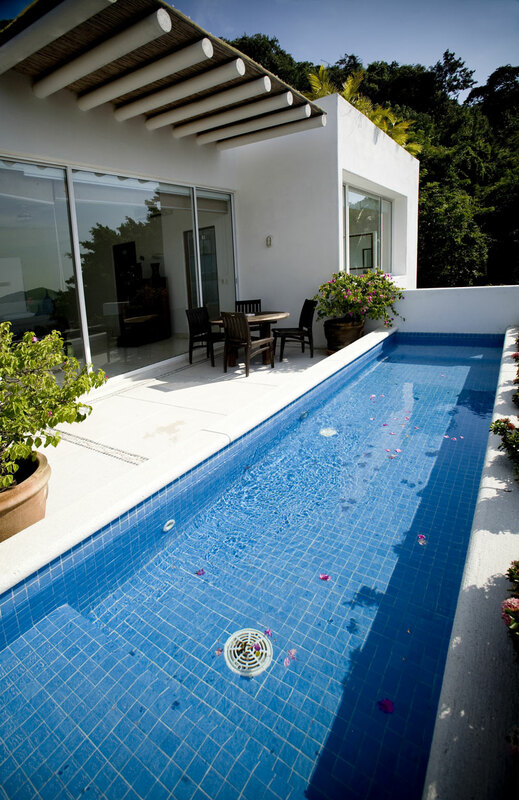 Pools can be costly without the right parts. Now homeowners have access to newer pool components that are designed to lower energy costs. Examples of these include variable speed pumps, electric heat pumps, and solar swimming pool systems. Blue Haven Pool’s Enviro Smart Pool uses less water, has lower power running costs and reduces greenhouse carbon emissions by up to 80 per cent. The state of the art swimming pool technology also reduces water wastage by 12,000 litres each year. To find out how you can make your swimming pool smarter, contact Blue Haven Pools on 13 20 25 today!